Stewart posted a video to her Facebook and Twitter pages with the announcement. "From the smallest of projects to massive developments, New Britain is investing in itself and we are growing. We are tearing down blight, rebuilding our streets and laying a foundation for a new New Britain. We're transforming our outdated schools, providing care for those who need it most and making our neighborhoods safe and vibrant. We are creating an environment where businesses can thrive and where families want to live," Stewart said in the video. Stewart also described her vision for the future of New Britain. "My vision is crystal-clear: Keep investing, keep building, keep leading, keep stepping forward," she added. 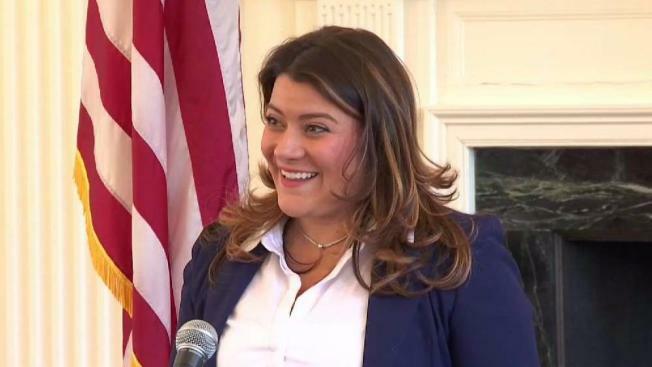 Stewart said she believes a lot has been done in the six years since she began her journey to restore New Britain, but there's still more to do. "That is why today I am proud to announce that I am officially seeking re-election as your mayor. It has been my highest honor to serve as mayor for everyone in every corner of our city. Together we have accomplished so much, but there is still a lot of work to be done," she said. Stewart is holding a kick off event on Tuesday, April 23 at 5 p.m. at the New Britain VFW.